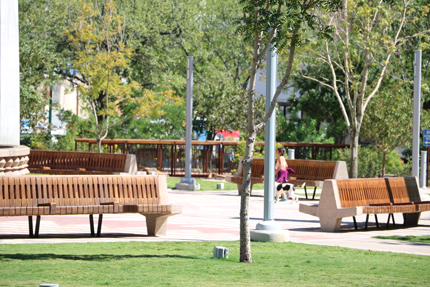 The Council of Judges is established by the Texas Government Code for the purpose of overseeing the administration of justice in El Paso County. 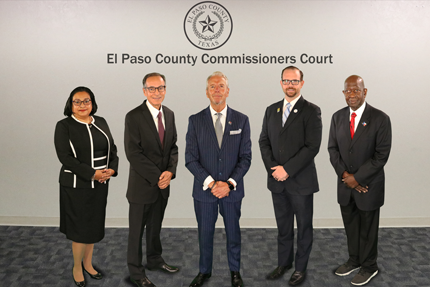 The El Paso Council of Judges is composed of the judges of the district courts of El Paso County, the judges of the county courts at law of El Paso County, and the judge of the probate court of El Paso County. Tex. Gov’t. Code §75.014(a). The Council of Judges Administration comprises a diverse group of court professionals: Bailiffs, Administrative Specialists, Performance Analysts, Certified Court Reporters, Licensed Court Interpreters, Jury Hall staff , and our Office Manager, under the coordination of the Council of Judges Executive Director. Assigning attorneys to qualifying Indigent Defense Program defendants –on Court Orders for Appointment of Counsel. Researching, analyzing and presenting court data and statistics to improve court performance. Scheduling defendant psychiatric evaluations –on Court Orders for Competence Evaluations. Maintaining and tracking Criminal Law Attorney continuing education to assure compliance. Maintaining and updating an Attorney Database. Developing and updating planning and procedures for the courts. Participating in County budget hearings. Professional Licensed Court Interpreter services –spoken languages. Professional Certified Court Interpreter services –signed language. Professional Certified Court Reporter services. Court Coordinators, Bailiffs, Professional Certified Court Reporters, and Professional Licensed & Certified Court Interpreters for Visiting Judges. On a limited basis, the Council of Judges may contract with Licensed Court Interpreters and Certified Court Reporters.